Electronics has much more complex calculations than basic maths. 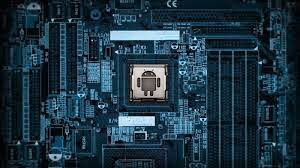 More tools are available for these electronics calculation but they are mostly windows or linux based application. Android, an opensource smartphone OS, enables anyone to design an app for it. So it is easy for any common person who knows the electronics & basic programming can build an app. Ohm's law calculator and the Watt's Law calculator. Electronic tool kit calculates unknown quantities in the field of electrical and electronics engineering. It provides a resistor color code, power calculator, and Ohm’s Law, Series, Parallel, and Series/Parallel combination of inductors, capacitor and resistors, resistivity, Power factor triangle, i.e. active, reactive and apparent, magnetic fields, reactances and much more. This is another recommended android Smartphones app for electrical and especially for electronics engineers and students. EveryCircuit app lets you understand that how do design different important electronic circuits and how they work. This app is handy in circuit like Logic gate, LED flashing circuits, Resistive, inductive, capacitive, operational amplifier and other electrical & electronics circuits and can view dynamic charge, current and voltage colorful animations with waveforms. ElectroDroid is a simple and powerful collection of electronics tools and references. It has a variety of tools & calculators, pin description, SMD details, etc,etc. This app is also available in pro version which can be bought from the Play store. Pro version supports the developer, unlocks more features and contains no ads. It has the ability to identify the unknown values of different quantities of electrical and electronics circuits. There are lots of electrical calculators available in this app at once. This app contains 3 of the most useful Electronic tools, the electrical calculator, the Electrical circuit calculator and the Electrical formulas. It also provides you a list of few electronics resources and ebooks that can be bought through the app.